Home › Uncategorised › Lous Gifford and his legacy – 50 top quotes! Lous Gifford and his legacy – 50 top quotes! I have for some years now, been reading articles by the legendary physiotherapists Louis Gifford. Some of these quotes are from articles and some from scientific papers. Louis Gifford is one of the lesser known pain experts, but in my opinion he deserves a lot more attention, for the great legacy he leaves behind after his death. His pioneering teaching about pain science and pain management has influenced a generation of physiotherapists and continues to do so. 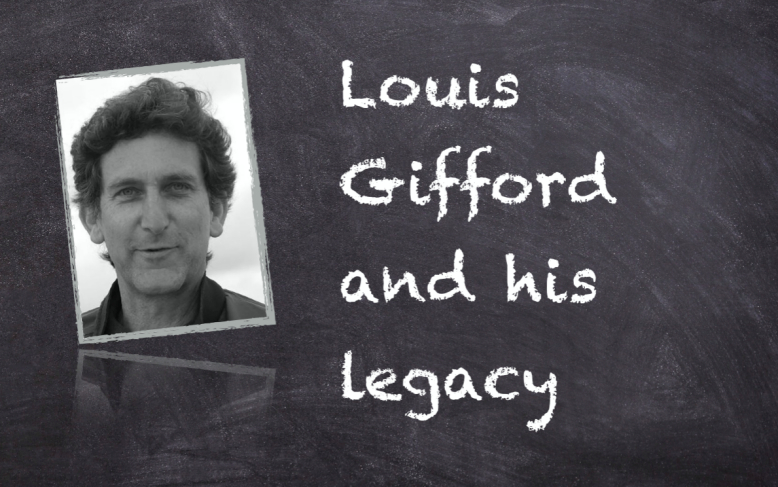 Louis Gifford was a clinician for over 30 years, and a lecturer and writer about pain and physiotherapy. From the early 1990’s through to 2007 he spent a great deal of time lecturing about pain biology, pain management and treatment. In the late 1990’s and early 2000’s there was a massive pain science revolution in physiotherapy, that Louis was very much involved in. His book series on pain science called Aches and Pains, are highly recommend, and so are all his articles, and scientific papers. He was also the editor of the “Topical Issues in Pain” (1-5) series, that marked a milestone for the understanding of pain and physiotherapy. “Most of us tend to think of pain as an unpleasant, distressing sensation that originates in traumatized tissues and courses its way along neural pathways to the brain and consciousness. Thus, the amount of pain perceived fits with the amount of damage done and the pain happily recedes in direct relation to the pace of healing. “It is not surprising that in our attempts to help our patients, legitimise their pain and find something for them, that we have plunged into greater and greater depths of skilled tissue testing and focused analyses of the behaviour of pain. A fundamental reasoning error may be made by labelling a tissue as faulty on the basis that passive manual testing can reproduce the patient’s pain. The reasoning error is to assume that a sensitive tissue evoking pain on mechanical testing is responsible for the pain rather than a reflection of the sensitised state of the nervous system. “Even though tissue damage and subsequent nociceptor activity can be seen as a dominant mechanism in acute pain it should be appreciated that psycho- social factors have a powerful role in determining and modifying the implicit physiological outputs and explicit behavioural patterns that are such an important part in recovery. “Evolution of practice is unstoppable; there are always changes going on and there always will be. New material is often integrated inappropriately, and occasionally dangerously, and failures will always occur, especially in the untrained and unwise. Good therapy and management skills endure, like good inventions. Some changes are for the better, some are not, and many are fads that come and go. – Doctor, what’s wrong with me? – Doctor, how long is it going to take to get better? – Doctor, is there anything that I can do to help it get better? – Doctor, is there anything that you can do or give me to help it? The order of importance to each individual may alter slightly, but for most, a reassuring answer to the first question is always somewhere near the top. Implicit here is a simple desire to know whether there is something seriously wrong. It is often the most important starting point for a successful treatment outcome. “The following two examples demonstrate how basic science developments have’ changed and directed thinking and practice in physiotherapy. First, knowledge that changes within the central nervous system can contribute to pain states. These central changes may amplify modest incoming nociceptor traffic, and can modulate sensory impulse traffic from normal tissues so that it leads to pain. Even more malignly, it may itself generate nociceptive impulse traffic. Clearly, these central changes have implications for treatment. Traditionally, a flaring pain response was linked to worsening of the tissues, whereas ‘ in fact it may simply reflect maladaptive central sensory processing. I’ve come away from an hour’s treatment with Alex, in less pain, with increased movement and flexibility and a thorough rehab plan to get my knee and ankle back to moving properly again. I couldn’t be happier. PS that strapping IS magic! The physical nature of my line of work can play havoc with my back! I first visited Alex at Central Sports Massage a couple of years ago when I hurt my back at work. I felt great after a few sessions – and have used him regularly since. Thank you Donna Taylor at Central Sports Massage for sorting out my shoulder with deep tissue massage at the Melton Mowbray Clinic – feeling loads better already after being in agony! So looking forward to follow up appointment!!! Alex at Central Sports Massage really knows his stuff and is some what an expert in his field! He can efficiently treat certain health conditions for example back pain in my case. I felt major improvement right after the first session helping my day to day life and activities easier and more comfortable! Alex has helped me through a full season of calf, hamstring, glute and quad soreness. He knows how to manage my body to decrease my recovery time after training and to keep me in peak condition for games. When booking my appointment I was expecting to receive a standard deep tissue massage, I did not expect the range of techniques that were used – it wasn’t like any massages I have received in the past. Alex was very helpful and has great knowledge of the body, which was great as I probably annoyed him with all my questions! Thanks!